Haiti Bible Mission hosts teams of disciple-making Christ followers from the United States and Canada desiring to live the difference in Haiti - a beautiful but desperately impoverished country just two hours by air from Miami, Florida. 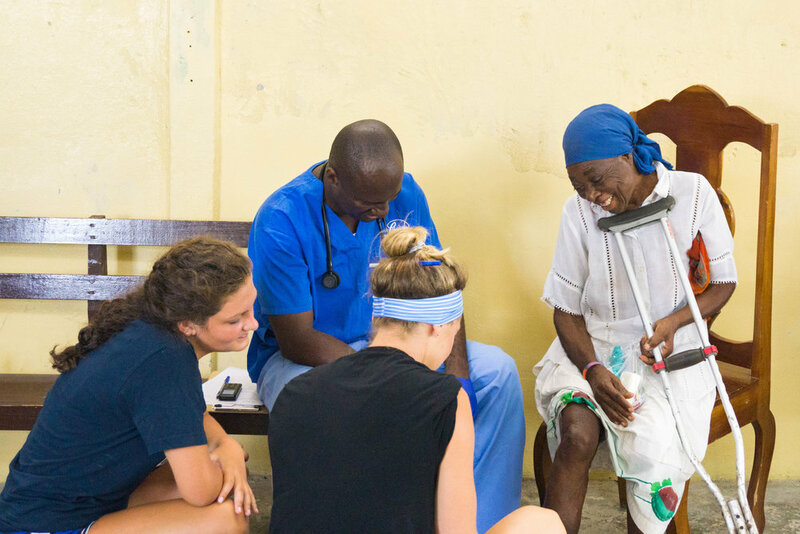 The Mission serves and supports several remote local churches and a school in and around Jeremie, Haiti, providing short-term mission teams ample opportunities for service. The Mission's compound affords basic conveniences including sleeping facilities for up to twenty people, a kitchen, a tool room, and an open air gallery with a stunning ocean view. The mission compound is a gated facility with on-site security, 24 hours/day, with safes for storing cash, passports and other important papers, and WIFI for a small fee. Short-term mission teams work alongside Haitian pastors, Haitian construction teams and/or ministering to children, youth and families through teaching, sports, construction and/or specialized men, women or children's ministries, and team medical services depending upon ministry interests of the team and local needs. Due to the remote nature of most of the Mission's ministry sites, a fair amount of planning is necessary for effective ministry. The stateside travel coordinator and mobilization team will work closely with each team's leader to match the team's travel schedule, talents and abilities with local needs. Our experienced stateside travel coordinator and mobilization team on the ground in Haiti is committed to helping team leaders plan for an exciting, effective, and life-changing experience. The travel coordinator will provide potential team leaders with all of the necessary instructions and forms to organize and take a team to Haiti Bible Mission. Preferred team size for mission trips is 8-14. The Team Leader must be at least 21 years of age. Children are welcome if it is cleared with the travel coordinator and they are under the supervision of a guardian at all times. Teams will make their own travel arrangements to Port au Prince International Airport after correspondence with the travel coordinator to line up arrival in Port au Prince and departure via charter plane or bus to Jeremie. 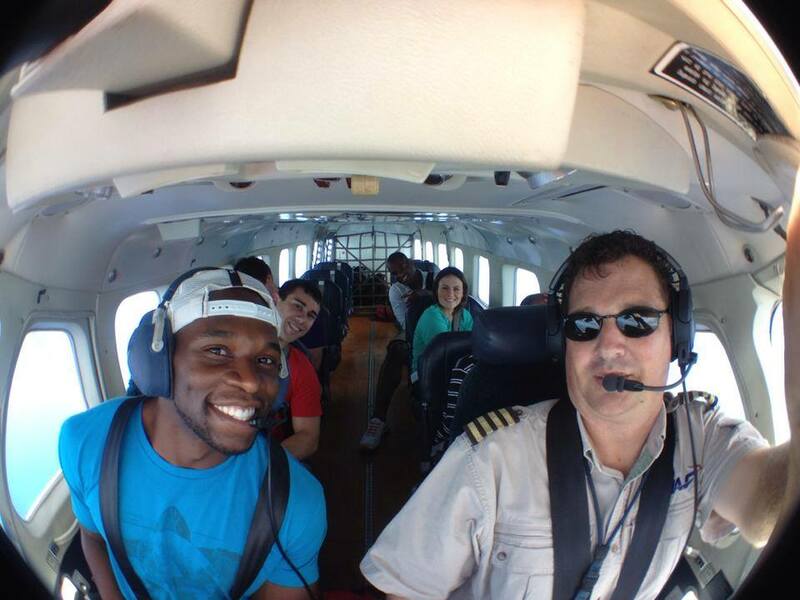 Once in Jeremie, the Mission will provide the team all necessary ground transportation, housing, and team meals. Please keep in mind most areas served by the Mission are in remote areas - sometimes requiring teams to walk up to an hour over hilly or uneven terrain and make shallow river crossings. The costs for a team traveling to Haiti Bible Mission are not as much as one might expect. For example, a group of ten originating in Miami would cost between $1,500 to $1,900 per person for a seven day trip. In addition to these direct travel costs, team members will be asked to bring some food and ministry supplies requested by the Mission Director. These additional purchases could add another $150 - $200 per person to the costs for each team member. WIFI is available at the compound for a small fee, should it be desired. Mission staff will gladly provide interested individuals with a Team Leader's Guide and/or an Application to give potential team leaders an idea of what to expect. These two instruments go into great detail concerning short term mission trips to Haiti Bible Mission and provide the foundation for pre-trip discussions and planning. Thank you for looking at Haiti Bible Mission. We invite you to consider forming a short-term mission team - or join one already being planned. Our goal at Haiti Bible Mission is to make disciples by "Living the Difference" before one another and the Haitian people. Together, with the help and encouragement of our gracious Lord, great things can be accomplished. To request more information regarding short term mission opportunities, we invite you to contact us at info@haitibiblemission.org.